That’s Hans-Peter Lindstrøm, Norway’s finest disher-up of cosmic techno, who’s whipped up a pumping new album with tracks titled like a tasting menu of his homeland’s underrated cuisine, from soup to nuts. Well, not quite: it’s more like ‘Raakost’ (raw vegetables) to ‘Vafler’ (waffles) – with lashings of ‘Lammelaar’ (dried salted lamb meat), ‘Vossakorv’ (‘a sheep-sausage made in Voss’), and ‘Eggedosis’ (‘what you get when you mix eggs and sugar with a blender. Kids love it… At least, I did when I was younger!’). Yum! 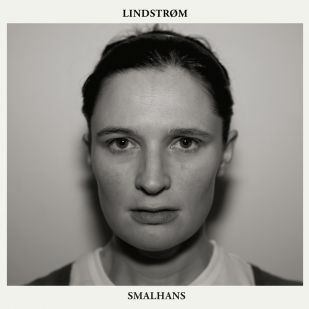 Smalhans was recorded immediately after Lindstrøm’s last, more experimental album Six Cups Of Rebel in July 2011, and its unashamedly 4/4 techno rhythms and bubbling, nutritious analogue synth sounds – mixed by friend and collaborator Todd Terje – are set to inject a vitamin kick to dancefloors everywhere. Lindstrøm’s gorgeous arpeggiations and chord changes can sound mathematical at times (check the clockwork mechanism of ‘Faarikal’), but it’s all born of his intuitive approach to his gear.